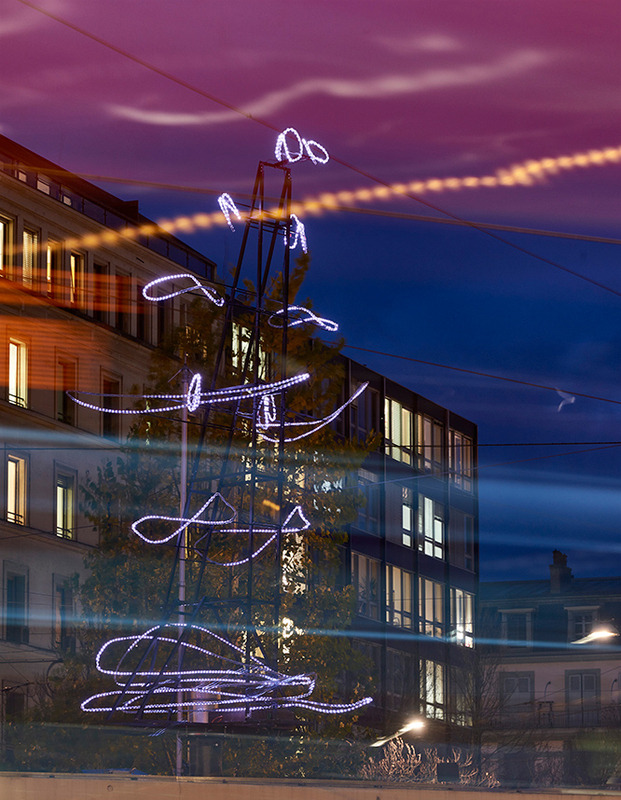 Rémi Brun’s latest moving light installation, ‘L’homme qui marche face au vent’ has been created for the city of Geneva as a permanent art work and is currently being shown for the first time at the Geneva Lux until January 14th 2018. Rémi explores the finesse and subtleties of the most banal movement of a man’s walk against the force of the wind. The installation allows the viewer to experience both subtle and strong emotions through the strength of the movement itself. From being rather banal, this ‘walk’ becomes something quite extraordinary! The work can be seen at the ‘Rond-point de Rive’ and will be exhibited annually during the end of year festivities.